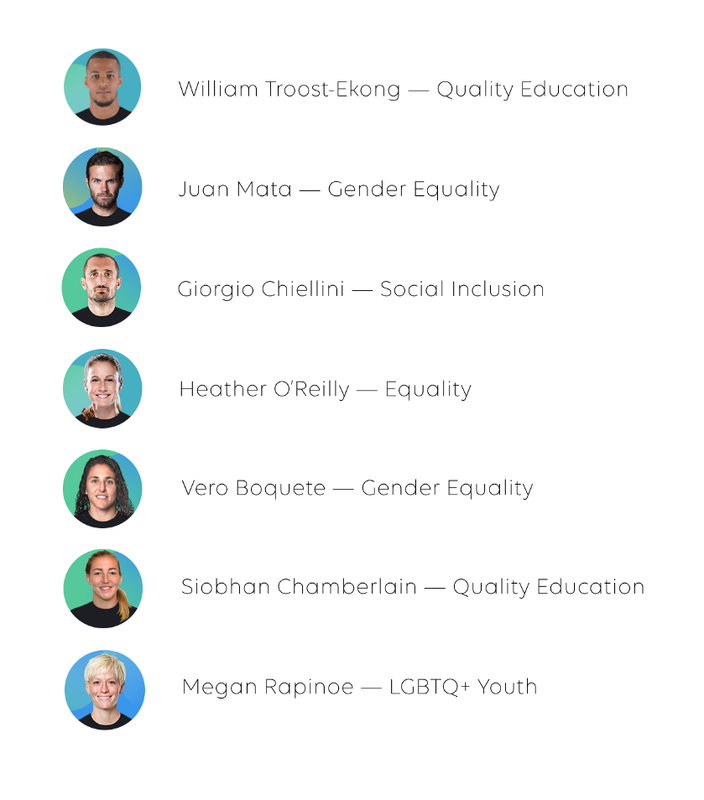 This World Cup, Common Goal players, partners, and fans raised over $100,000 for community-based organisations using football as a tool to champion gender equality, quality education, LGBTQ+ youth, and more. Find out more about Common Goal’s World Cup activities below! It comes around once every four years, and captures the world’s attention like nothing else. After 5910 minutes, 271 goals, 4 red cards and 12 own goals, the 2018 World Cup is finally over. There were high expectations of almost every country that participated, and it was certainly not short on drama or upsets, and if pre-tournament projections are correct, almost half the world’s population will have tuned in. Throughout the month-long festival of football, Common Goal wanted to utilise the moment when so many eyes were on the beautiful game to further build momentum around changing the game for good. The efforts weren’t limited to these seven players however, as with everything here at Common Goal, it was a team effort. From our players that spread the word on social media, to our friends at Onefootball and ForzaFootball that helped spread the reach even further. Not to mention the countless other brands, influencers, and journalists that all helped to further amplify the reach of the campaign. And our creative partners, enso, who helped with all creative needs. Most of all, however, the biggest thanks must go to the many fans from all over the world; that support the fundraisers and made the campaign a success. But that wasn’t all! While, of course, we wanted to spread the message as far as possible online, we also wanted to increase engagement and spread awareness on the ground. 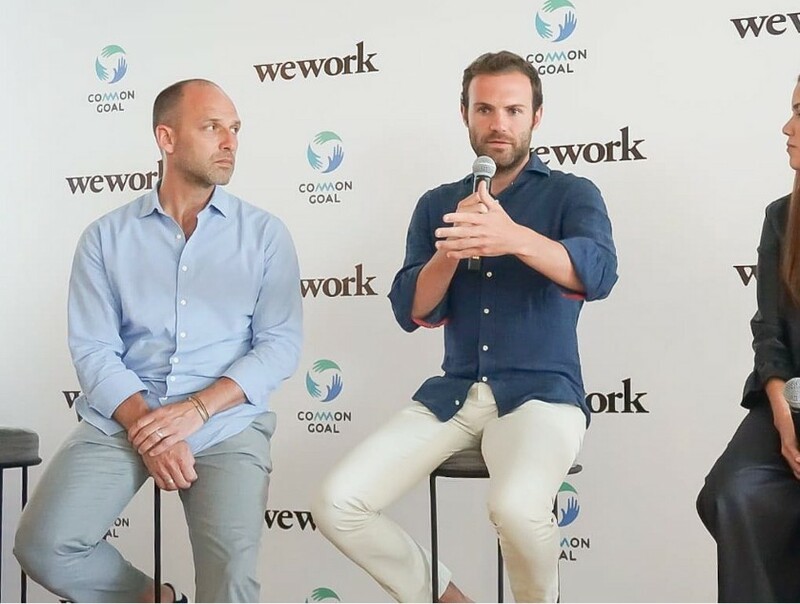 That is why we united with coworking giant WeWork to become their official cause partner for all of their World Cup events. Together, we hosted dozens of events in major cities across the globe coinciding with games involving each country. Every event was a chance for the team to educate the audience on Common Goal, raise funds, and, of course, watch some football! Over the course of the tournament, thanks to the fantastic support that we received from all over the world, we raised over $100,000, all of which will go directly to our network of football for good organisations that match up with the issues our players were raising funds for. This money will be allocated in the fourth quarter of the year in conjunction with our second round of player allocations. More on that in the coming months! Coming less than a year after launch, the World Cup was a really important milestone for us here at Common Goal. Nevertheless, we are not finished yet, and we still have big plans for the rest of the year. Despite launching with a focus on players and managers, our long-term vision is much more ambitious: to unlock 1% of the entire football community’s revenues — conservatively estimated at $30 billion per year — to benefit football for good organisations. In that vein, we are now inviting you to take the pledge and join the team. Whether as a supporter, a business, or a club, everyone is invited to come on board and be a part of uniting the entire football community in tackling the world’s toughest social challenges. In a world that can feel increasingly fractured and fractious, the power of football to bring people together has never been more valuable. The World Cup saw many countries put aside internal differences, to join together for a common goal — but more than that, it saw the world do the same. While the tournament may be over for another four years, the unity must remain. It is time for the football community as a whole to follow where the fans have lead, uniting in pursuit of our Common Goal: to unlock the full potential of football for good.